I was very fortunate to be able to go to a Leica event and get my greasy little mitts on the new series of Leica cameras. And I have to admit it, I was impressed. But was I actually impressed enough to buy one? Well, everyone knows all about the new Leica cameras, I mean, the coverage at Photokina was insane, but not all that many people got to have a hands on with the cameras. But I did get the chance to play with them for a short while, and it was interesting. First up we had the standard presentation stuff, where we got to hear about all of the cameras. Predictably everyone only seemed to be interested in the M stuff, and a couple of people even left as soon as that part was over. 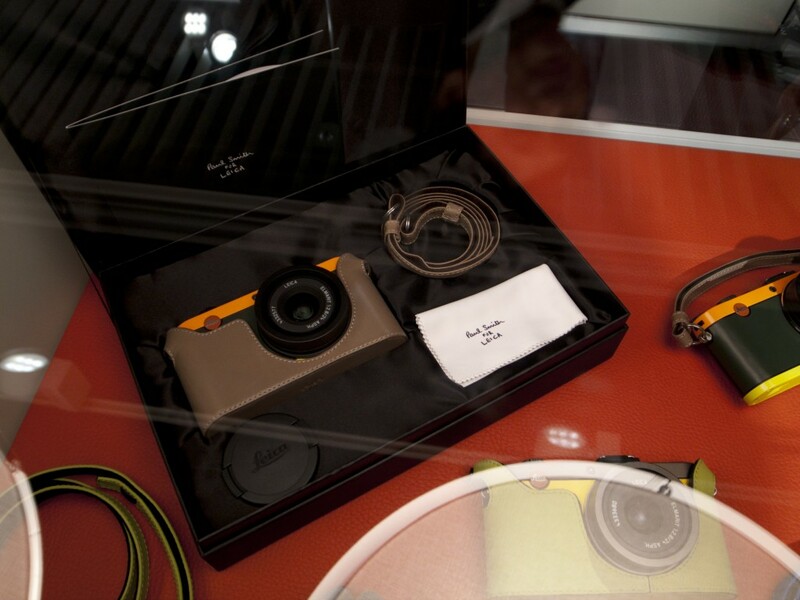 There was the compact stuff too, which is not really all that much interest to me, but there was a cool video of Paul Smith talking about the camera he collaborated on. And then there was the S stuff. Now normally I don’t listen to this, as this system is beyond the realms of reality for most of us, but the video showing the camera covered in snow at the top of a mountain shooting snowboarders was pretty awesome. I had a new found respect for the S beast. Stefan Daniel, Director of product management gave us a nice presentation that was not overly technical but was still engaging enough for us to make us feel that we know how the cameras work, I thought they had a tiny monkey with a paintbrush inside, apparently I was wrong. After the presentation there was a small Q&A and this is where I gleaned one of the two big nuggets of gossip for the night. 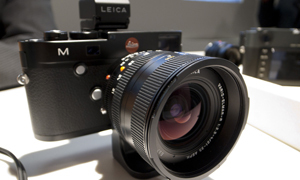 Scoop 1: Leica have no plans to discontinue film cameras, despite any rumours. 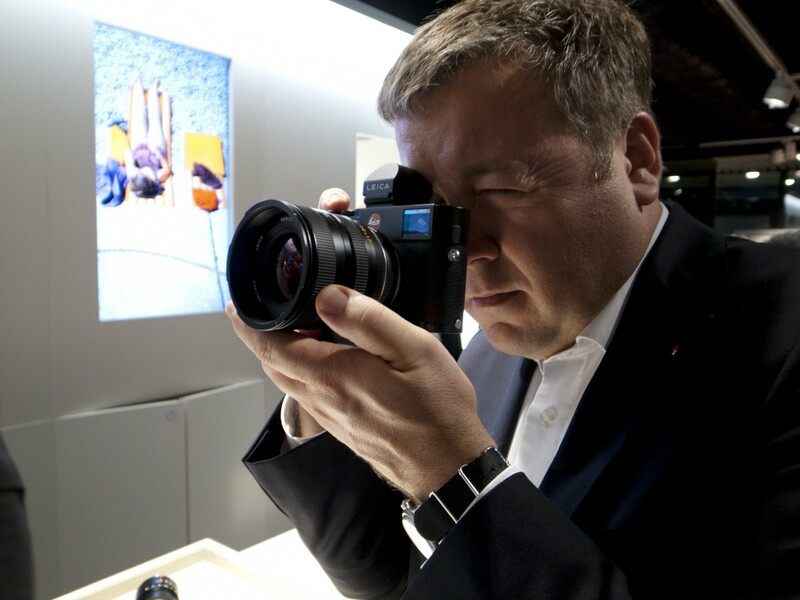 Sales are stable and as long as people keep on buying them, Leica will keep on making them. 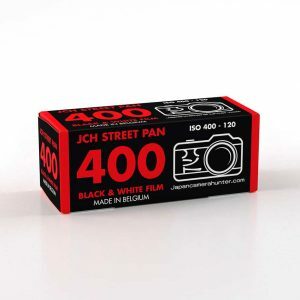 Although there are no plans for a new film camera. So after all of this they finally let us have a go on the cameras, and there was a scrum, it was a bit silly, so I decided to step back and have a chat with Stefan about the new M and what Leica has in mind. The M is now only the M, no longer will we have numbers, just M’s, simplifying the line before the numbers get a bit silly. I was dead set against this at first, I mean, losing all those years of heritage and history. But I really can see the logic behind it now, before long you will find yourself going M11, M12, M13 and then what? Why not keep it simple and focus on making the camera better. The same with the EVF and focus peaking stuff. I was also pretty much against this, but after a chat with Stefan and the way he envisages the M’s of the future, you cannot really fight it. To create the most versatile RF camera you have to take and incorporate elements that you are not necessarily familiar with. Does this mean that we are going to see zoom lenses and AF on an M? Not yet, but it really is only a matter of time. Now, I had bought the MS Optical Sonnetar with me, and it was a point of interest for a few people, including Stefan, so we decided to put it on the new M and see how things come out, which was a lot of fun. There you go, a world first, the Sonnetar 50mm 1.1 on the Leica M. Now I would love to be able to show you the images, but I cannot, because I cannot show you the images taken by any of the M cameras. All of them had sealed baseplates so that we could not change the cards in them. The reason for this I was told is that there is still a way to go on the fine tuning of the firmware and the cameras are essentially not complete. I can tell you that the images look fantastic and the screen on the M is lovely. Much better than the M9 (which was one of my major gripes with that camera). The Sonnetar looked great on the camera, and it really showed itself very well, especially at around f/2.8. I was very happy with the results. And happy that I got one on an M! Yay! The M and the M-E will begin shipping in early 2013 and they want the camera to be perfect for when it ships, so it is still in some ways under development. But when it is ready I have no doubt that they will be fantastic, judging by what I saw in the presentation. The thing that really interested me about the M though was the fact that you can seamlessly put R lenses on the camera with the adaptor. This opens up a whole world of absolutely incredible lens choices. So many of the R lenses were swept aside, yet they are still Leica glass and many of them are outstanding. I can tell you now without doubt that you are going to see a very definite rise in the prices of the R-lenses as people see the potential on the M. We tried the Vario Elmar 21-35 ASPH and I can say that it was a perfect fit on the camera. With the EVF and the Visoflex you are going to be able to dust out those old lenses and do things that you didn’t think you would be able to on an RF camera. On to the M-E, it almost seems like an afterthought, especially considering that the M9 is still available. But this is actually a very nice looking camera, which is still a beast on the inside. This camera is basically an alternative to the M9, although a simplified and stripped down version. Unfortunately it retains that rubbish screen from the M9 and the distinctly meh sensor, but it is simple and still a FF rangefinder. I think a lot of purists are going to like this camera and it will be a great introduction into the world of FF digital RF cameras. That being said, I would rather go out and get either the M or the Monochrom….Which leads me onto my second scoop of the night. Scoop 2: There have been many rumours floating about over the Monochrom. The main one being that it is a ‘limited’ camera and will only be produced in small amounts. I have it from the horses mouth (Stefan is not a horse BTW, he is a very charming German gentleman) that this is not true. This camera will be made for as long as people want it and it is in no way an exclusive camera (other than the price tag making less accessible to many). 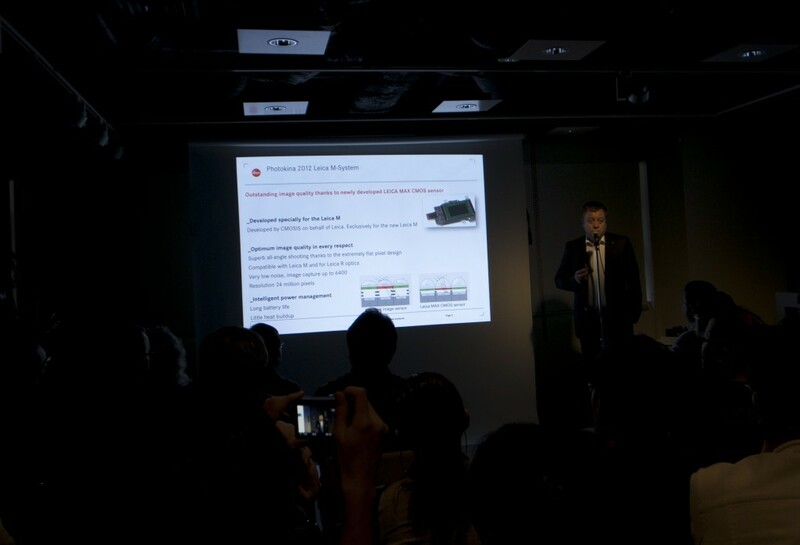 So that was the Leica presentation…Oh wait, there was another camera that interested me. 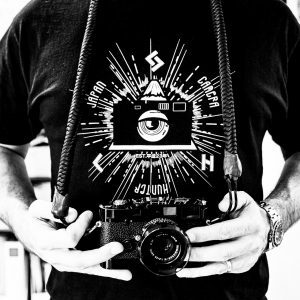 The Paul Smith camera. WANT! I want this cloth, but as Helmut kindly explained to me, the only way that I am going to get this is if I go out and buy one of the limited edition X2’s. So it looks like I will not be getting one then. So that was it. A very interesting presentation, and a great chance to see the new cameras. I wish that I could show you pictures taken with the cameras, but alas that is not possible yet. Rest assured I will do the first chance that I get though. And was I impressed enough to buy one? Well, no, not yet. As I am a film shooter and I am yet to see what these cameras can really offer me. Having said that, I shot the Monochrom again, and that camera does impress me…A lot. 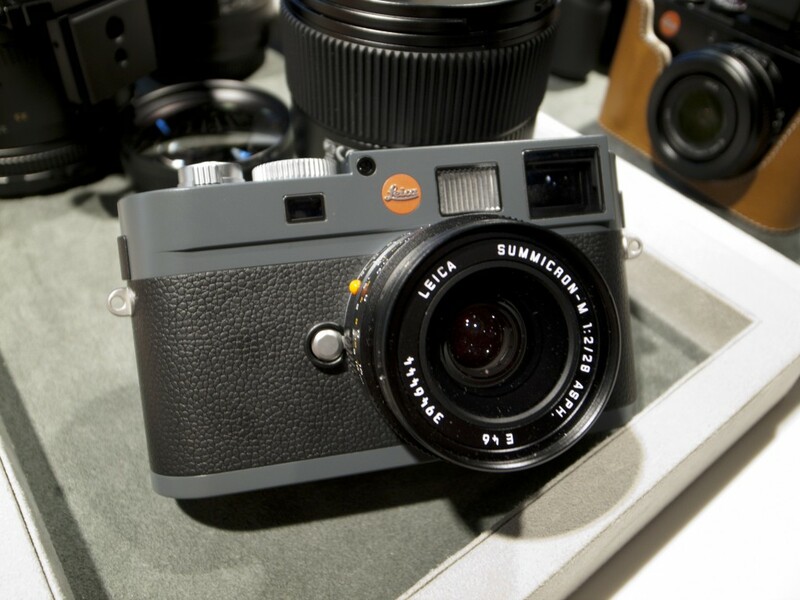 If I was going to buy a digital Leica camera, that would be the one that I would be ordering. Love them or hate them, the new range of Leica digital cameras is here to stay and they are going to be popular. But the biggest news for me of the night was that Leica has not forgotten us film shooters and will still make cameras for us as long as we keep on buying them. So go out and get a second job or take that dodgy loan that ‘Harry the Shark’ has been offering and buy yourself a film Leica (it will probably last longer than you do anyway). You will not regret it. lucky you live in a place where film processing is done with regard to proper standards … i went digital during my years in india, couldn’t find a processor willing to change his chemicals in a timely manner, an overhead expense, plus, in wedding photos, the majority of their business, no one wants to look dark. Pretty much everything that can be said about the M and ME has already been said, so I will keep this short. For me, the M is completely uninteresting. Far too many features that I would never use. The ME is also a let down. This was Leica’s chance to deal with all of the problems with the M9 (battery, shutter noise, better sensor) and they simply rebranded it. Add in weather sealing and a more silent shutter and I’m with you. 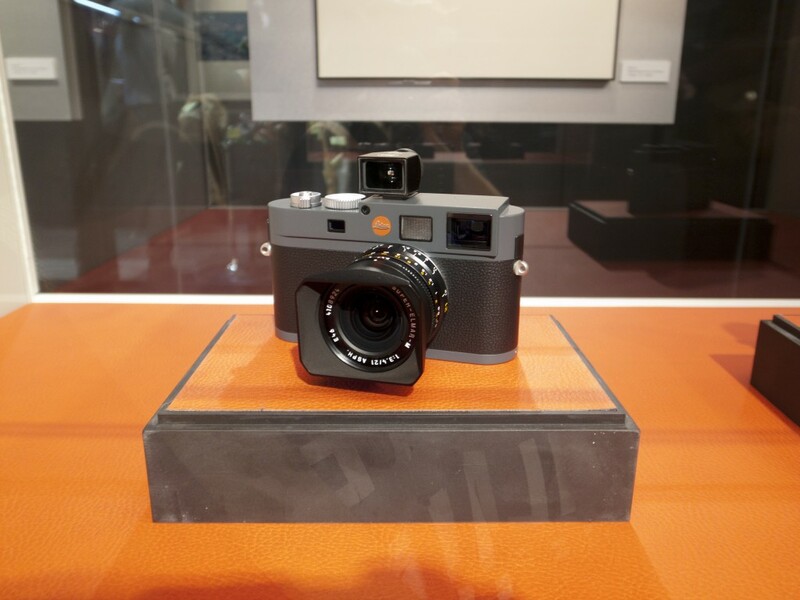 I think the “M” is as big a step forward to leica as M3 was way back in 1954. 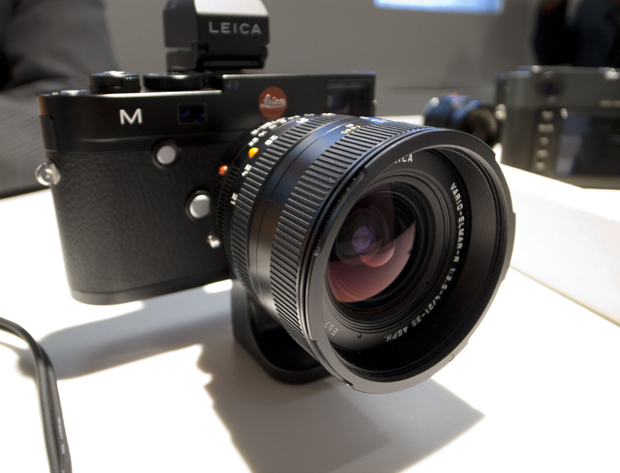 Lots of reportage professionals started to use M leicas. 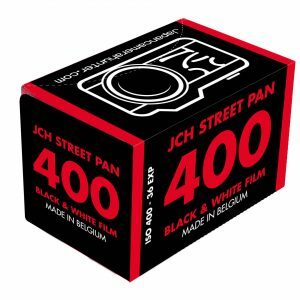 Now it is street shooting for most amateurs, and M is a great tool for that. The new crew that I think will pick up the M is skaters, paragliders, rock`n roll shooters etc. Those that want quality video and at the same time super quality still images in a very small package. The M does this without any post processing. 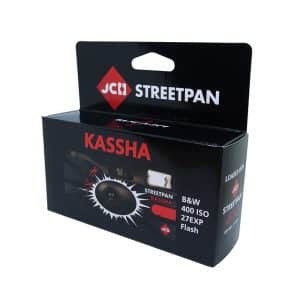 Then it is a perfect studio tool because of the different strobe syncs and live image to a laptop. I don`t even consider investing to a DSLR, it suddenly started to look like a “dinosaur” as a professional tool. 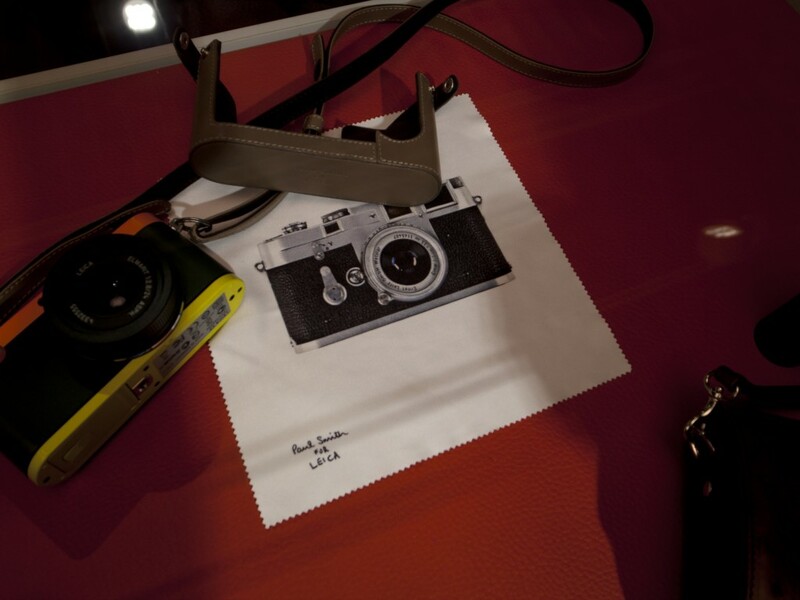 Lol, the most important is the cloth and the continued support of film cameras. 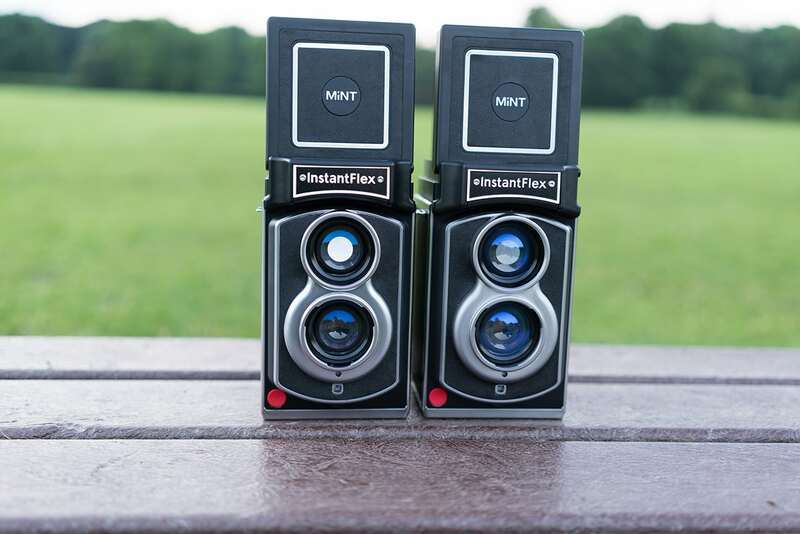 Others whishing their film M gets an exchangeable sensor. We saw hor far leica is competent enough to do that, R module. Good on M is the flexibility of a P&S and the useability of R lenses. Good as well is that at least the M9 invest is politically preserved. Aside from all this crap, I’d agree with Charly, it’d be nice to see a simple display-less FF RF with a lens selection as the M and a Colour sensor of the finest. For the time being you can buy a new M and put some tape on the LCD. No sorry, it’s lost appeal for me. 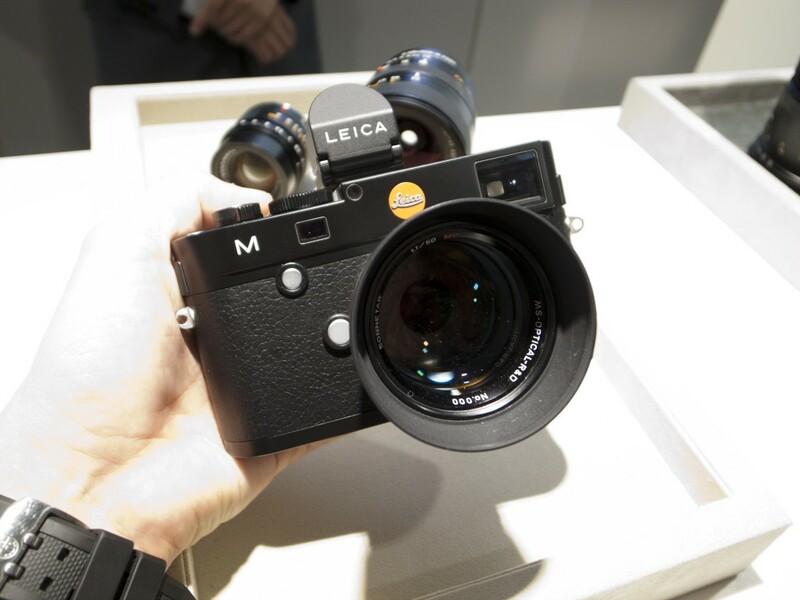 I could just about handle the idea of a Leica with a digital sensor, but the sight of the Digilux 2 (sorry, I mean Leica M 2012) with its digital danglies, lack of brightline window and AF almost makes me gag. … sorry, I’m back from the washroom. Now I know what half digested chilli con carne and rice looks like. I have half a kidney bean stuck in my nostril. Thank you, Paul Smith. Since I’ve gone back to only using film M’s I’ve really not given the new releases very much thought to be honest. The current prices for new bodies or lenses are so far away in “La La Land” it’s utterly pointless for most people to even consider them even if they are any kop. So long as new Leica prices keep going up so will the used Leica prices as we have seen over the past 5 years or so. This will only push buyers towards buying Zeiss or Voigtlander glass out of necessity which is why I honestly feel Leica are shooting themselves in the foot if they seriously want to market the M range to a wider audience. To be honest, I do not see the appeal of a manual focus, electronic viewfinder camera with the same old Olympus VF-2 (it’s literally identical, except for a slightly different shape and Leica’s much higher asking price for essentially the same thing) which sticks out like sore thumb. I still have my Olympus VF-2 while I sold the E-PL1 I used it on and it’s not fun to work with a viewfinder that threatens to fall off whenever you carry the camera around your body or put it in a bag. Apparently, Leica couldn’t combine the rangefinder viewfinder to also include the electronic viewfinder at the same time. That’s probably where the next M comes in. Or maybe not, given Leica’s pace of “innovation”. 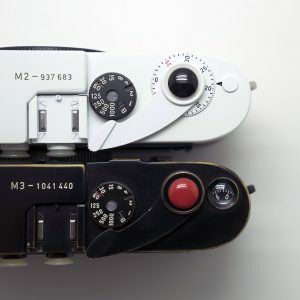 What I find even more astonishing that they keep the M9 in circulation by castrating it slightly, re-labeling it and selling it for thousands of euros even though the camera and all its components are basically outdated for years (sensor, display etc.). Any decent mirrorless system camera now takes better images than an M9 or M-E. Take the Olympus OM-D which now features a better sensor than the M9 and thus the M-E and it costs a fraction of the Leica. As a German, I’d like to think that German companies produce good value for good money but with Leica, that’s shamefully not the case. You get much less than you what pay for. Kudos to their marketing to make everyone believe otherwise. If you’ve ever seen a rangefinder mechanism, you’d realize how much space it takes up on the camera. I think it would be quite difficult to have both a rangefinder plus an EVF and maintain the body size. You proclaim the OM-D’s sensor to be superior to the M9’s, but you don’t say how you’ve come to that conclusion. 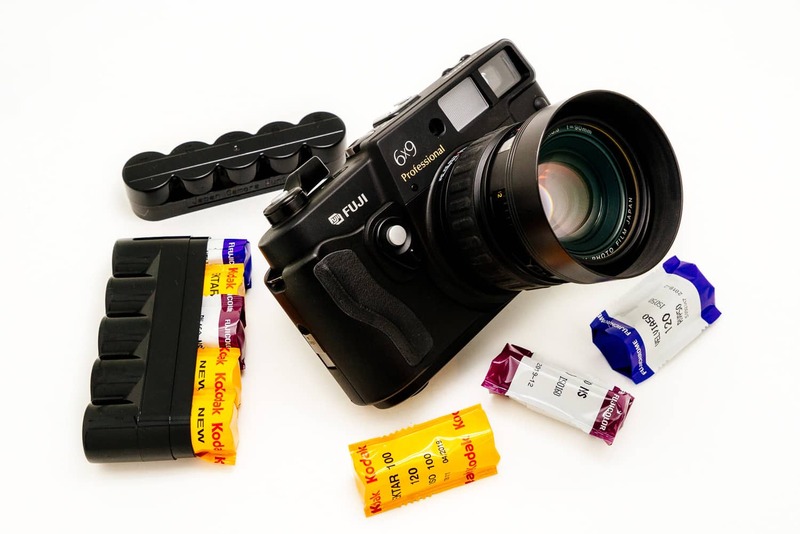 I suspect you’ve never used an M9, and it’s hard to judge a camera you’ve never used, though the internet seems to be rife with people who are willing to offer their opinion on what is superior or inferior based on published specs or read opinions. Having used both, the image quality of the M9 is far superior to the OM-D at base ISO. Now if you want to argue beyond base ISO, that’s fine but $40,000 medium format cameras are crap beyond base ISO as well, would you label their sensors as inferior? As for their marketing, I don’t enjoy their prices either but they’re not forcing anyone to buy their products, and people still pay the prices to point where they can’t meet demand. As long as that is the case, there is no motivation to change their prices. It’s much more profitable and recession proof a strategy to make “elite” products, which is why companies like Ferrari are still doing well. 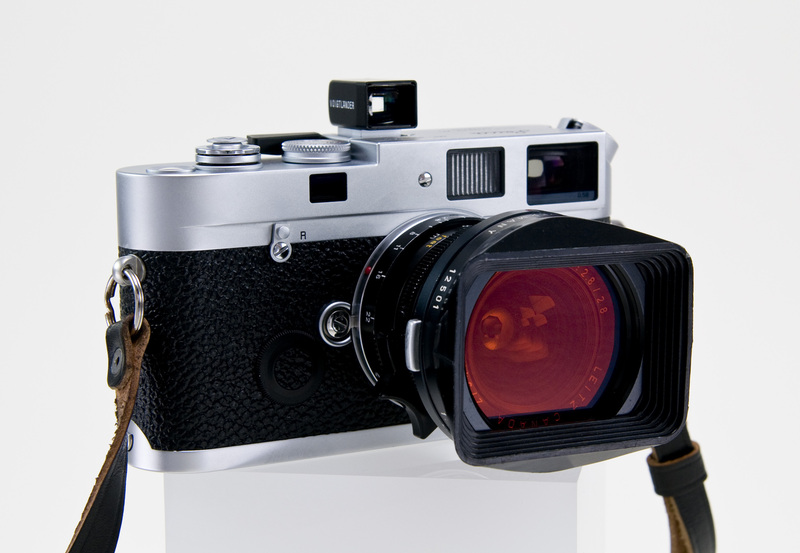 The simple fact is that a rangefinder camera is a niche product that is very expensive to manufacture. For instance, Nikon makes more D700’s in a day than Leica makes in a month. So unless they figure out a way to have robots assemble and calibrate rangefinders, Leica M’s will be expensive to produce. The M9/M-E sensor is “meh”? You’ve obviously never lived with one for any length of time. It’s like saying Kodachrome was “meh” compared to colour negative because you couldn’t push-process it. But of course, to each his own. Actually, I have used the camera for a good length of time, and I found the sensor to be lacking, particularly at higher ISO ranges. Considering the cost of the camera I would have hoped that they would have been able to iron out the issues with iso and artifacts. Don’t get me wrong, it is very good, but it could be better for the money and I think they missed the boat on that when they pushed out the M-E. There were improvements that could have been made that were not. Fair enough, but CCD sensors just aren’t designed to be pushed beyond their base ISO, just like slide film. Nobody complains about a $30,000 Phase One back lacking high ISO abilities, just like nobody complains about ISO 50 or 100 film looking like crap when exposed at ISO 800. But everyone has different expectations when it comes to what their camera can do and what price they would pay. I would love an extra stop of high ISO but not at the expense of those deep, saturated CCD colours.